Sound bars with subwoofers: do they really produce better sound? Most sound bars come with an additional speaker called a subwoofer, which is designed to provide extra bass. Subwoofers can be built in or come as an external box – but are they really necessary for an epic home movie night? 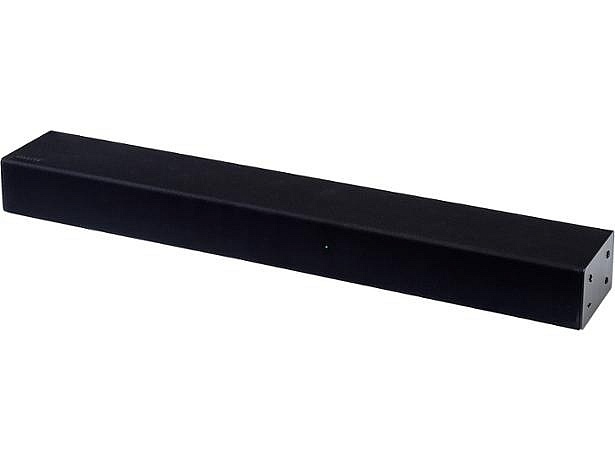 A great sound bar should ideally offer the complete package on its own, delivering audio that is crystal clear, detailed and natural without the need to pair it with additional devices such as speakers or a subwoofer. Sound bases in particular can deliver effective bass all by themselves. The extra bass created by a subwoofer should dramatically enhance movie audio and deliver those legendary Hollywood action scenes with the impact and power they deserve. However, not all subwoofers do a good job and some can even ruin your entertainment experience. While we’ve found some flawless sound bars with excellent subwoofers, our tests have also uncovered models that produce excessive, uncomfortable bass levels when the subwoofer is turned on. Some subwoofers deliver bass notes so late it’s distracting, making movie scenes that could have been great lose impact – you’ll see the sudden explosion before you hear it. Others overpower sound and are so boomy you’ll suddenly be scrambling for the remote to turn the volume down. Out test results have been mixed, so buying a sound bar or sound base can really be a gamble. Choose the right model by checking out our Best Buy sound bars. These are two of the models we’ve tested that have subwoofers. Read our reviews to find out whether they provide the right levels of bass. The SK5 should, in theory, be the perfect sound bar for an unforgettable home cinematic experience. It’s bursting with fancy features, including a wireless subwoofer and DTS Virtual X surround sound technology that fires sound waves around you to deliver a rich three dimensional experience. Movies, TV dramas, music and sports each have their own unique audio properties so should be listened to using different sound modes for the best experience. So LG has added Adaptive Sound Control to the SK5 to automatically adjust the sound to conform to what’s playing. For ultimate convenience, you have the choice of controlling the sound bar with your TV’s remote or with LG’s smartphone app. Many sound bars betray their enticing marketing description. Plus, only a small minority of sound bars actually manage to create surround sound well. Find out whether this model lives up to expectations by reading our LG SK5 review. This attractively priced model also comes with a wireless subwoofer. 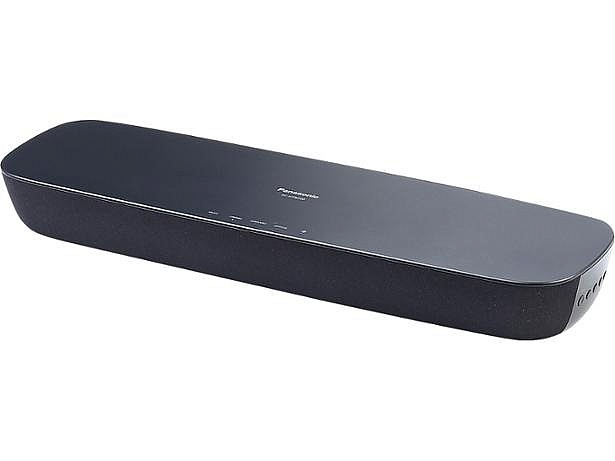 It has all the common features you would expect from a sound bar, including a range of digital connection options and Bluetooth, which allows you to stream music from your phone, tablet or laptop. Additionally, it has wi-fi so can be connected to speakers all over the house to form a multi-room music system. With many sound bars costing almost as much as your TV, Hitachi’s low-priced models are usually popular because many people simply want to watch their favourite programmes with more oomph than their TV speakers can provide. You’re unlikely to get an abundance of features at this price but that’s fine as long as the sound is good. 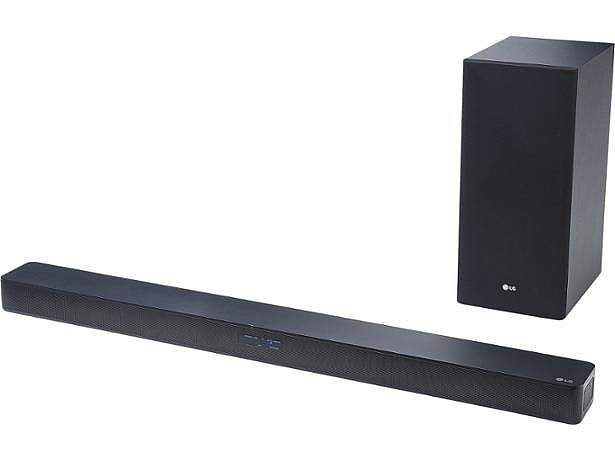 We’ve found excellent Best Buy sound bars under £200 – find out whether this is one of them by reading our Hitachi AXS460BTU review. Here are two examples of models we’ve tested that don’t come with a subwoofer. Follow the links to see whether they are still great additions to your living room. Samsung promises there’s no need to pair the HW-N300 with a separate subwoofer because it has four built-in speakers for dynamic and powerful audio. If you own a compatible Samsung TV, you may be attracted to the sleek, compact design as it’s great for saving space. There’s also no need to have wires cluttering up the room as it can be connected to the TV wirelessly using Bluetooth. 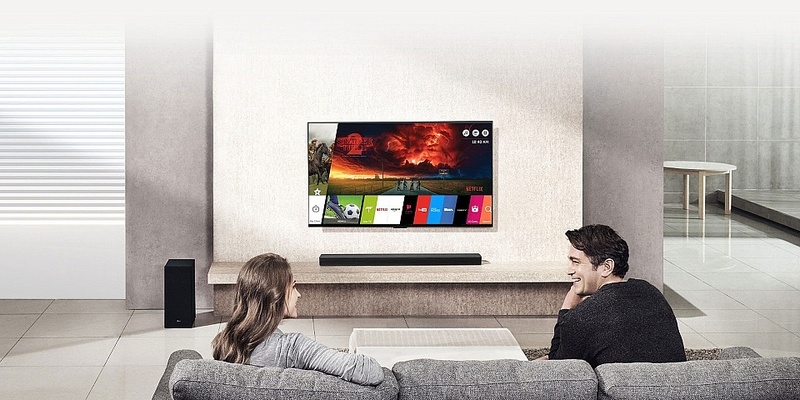 In a further bid to win your custom, Samsung offers a free six month trial with Deezer to help music lovers make the most of their new sound bar. Many people are satisfied with the depth of bass provided by a standalone sound bar and feel no need to buy a subwoofer. Does this all-in-one model successfully enhance movies and TV all on its own? Read our Samsung HW-N300 review to find out. 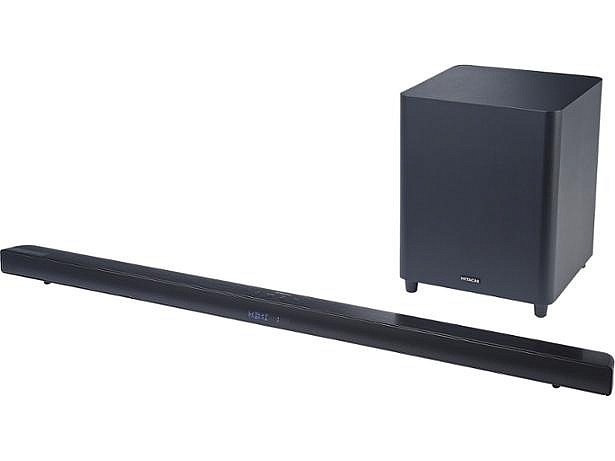 If Panasonic’s description of the SC-HTB200 holds up in practice, you should be amazed at the room-filling, high quality sound produced by this compact sound bar. It’s compatible with Panasonic TVs up to 40 inches and, with two full-range built-in speakers, you shouldn’t need to buy a subwoofer. You can also download the app, which lets you stream music from your device and control the sound bar. This model doesn’t offer much in the way of features, which isn’t a problem as long as the sound quality is up to scratch. Some are brimming with exciting features that mask dull, mediocre sound quality. In contrast, we’ve found Best Buys with minimalistic features. Find out which category this one fits into by reading our Panasonic SC-HTB200 review. Should I choose a sound base over a sound bar? If your TV isn’t wall mounted, you may want to consider getting a sound base over a sound bar. Sound bases sit under your TV and are larger than sound bars so have more room for bigger speakers. Thus, they tend to produce better bass due to having larger drivers and better in-built amplification. A sound base has additional bass drivers for extra bass so shouldn’t need a subwoofer. Head to our sound base reviews to see which ones came out on top in our testing.